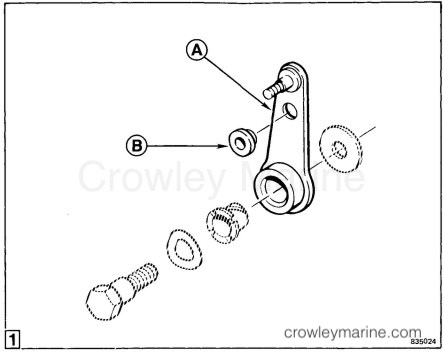  When installing this shift lever (A), the flanged bushing (B), P/N 321281 supplied in this kit, must be used. Early production 1975 models used a non-flanged bushing which should be discarded. Assemble bushing to shift lever in the position shown.